It is now well known and accepted that the amount of water you consume everyday plays an important role in maintaining a healthy body - experts recommend drinking 8 to 10 glasses (about 2 litres) of water each day to maintain good health. This has to be pure water. Teas, coffees, carbonated water, fizzy drinks and fruit juices do not count - the body sees any such beverages as food and treats them completely differently to water. Furthermore many are high in caffeine and sugar, are acidic, and are actually dehydrating thus achieving the exact opposite of what you are aiming to do with water. But not all water is equal so what water should we drink? Is tap water too full of contaminants? 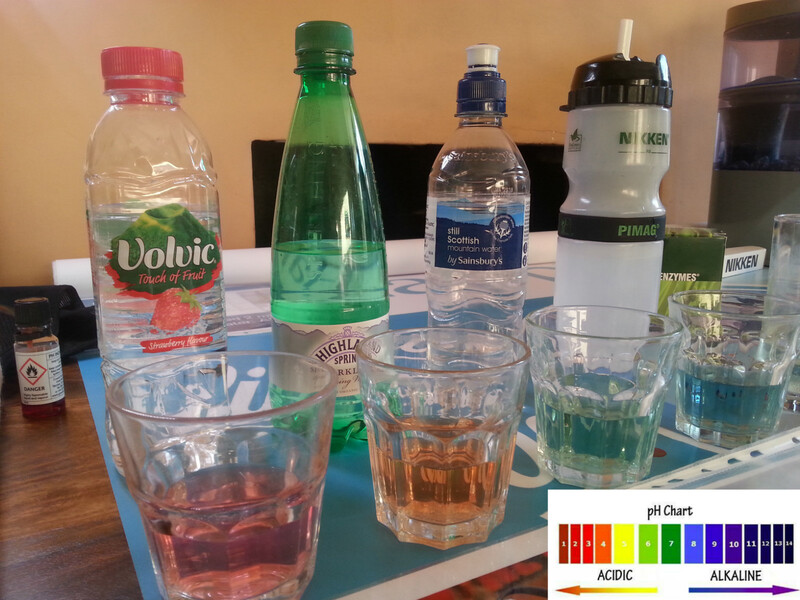 Is bottled or mineral water a better alternative? 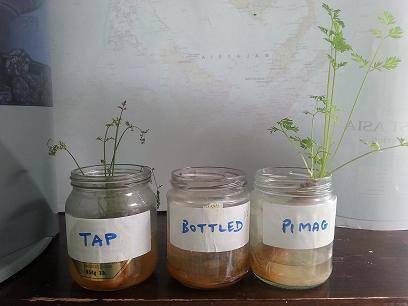 Or should I invest in a home water filtration system, and if so, which type? "The healthiest water on the planet." Nikken Pimag® water is particularly efficient at hydrating you - humans should generally be made up of around 70% water (and more in the brain) but 75% of us are typically dehydrated. Many symptoms of unwellness are the same as the symptoms of dehydration and rather than being fundamentally unwell a person may just be dehydrated. The Nikken water is energised, structured and conditioned by a unique filtering and magnetic system which crucially aids its absorption by the body's cells. This is demonstrated by you not feeling the water sitting heavy in your stomach like you generally do if you drink a glass of regular tap water. This improved absorption also means you will not wee it straight out like you do with normal water. The Nikken water activates your thirst mechanism which is normally suppressed or misinterpreted (often as hunger). The more Nikken water you drink the more you want! 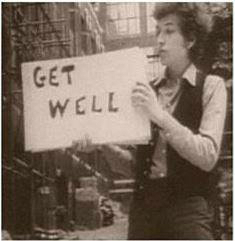 This further helps to rehydrate you quickly. Try it! This encouragement to drink more and more water will not only rehydrate you, it will fill you up and satisfy your "hunger" thus being very useful as part of a weight management diet. The water is alkaline with a ph of approx. 8-9 (most bottled, and Britta, water is acidic - less than ph7, and most tap water is ph neutral, around ph7) - acidic diets can contribute towards many health problems such as osteoporosis and diabetes. Alkaline water can help contribute towards better body balance by counteracting the increased acidity of our modern diet. The all-in-one multi-stage filter removes contaminates typically present in tap water - these include heavy metals, pesticides, and chlorine. Two thirds of fluoride is also removed. Most alternative filtration systems take out the good minerals as well as the bad leaving pure, clean, but "dead" water. The Nikken system adds back essential minerals including magnesium, potassium, calcium, manganese and sodium. Many filtration systems waste a lot of water - very bad for the environment and your water bills! 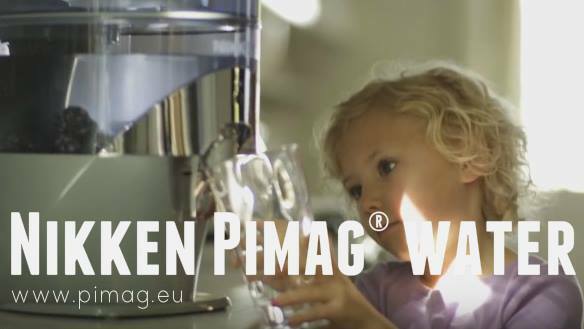 The Nikken Pimag Filter uses 100% of your tap water. The Nikken filter is a countertop model - no plumbing is required and the system is quick and easy to use straight out of the box, with a small work surface footprint. It is therefore also relatively portable and can be moved around the kitchen or house or office, or even taken on holiday. 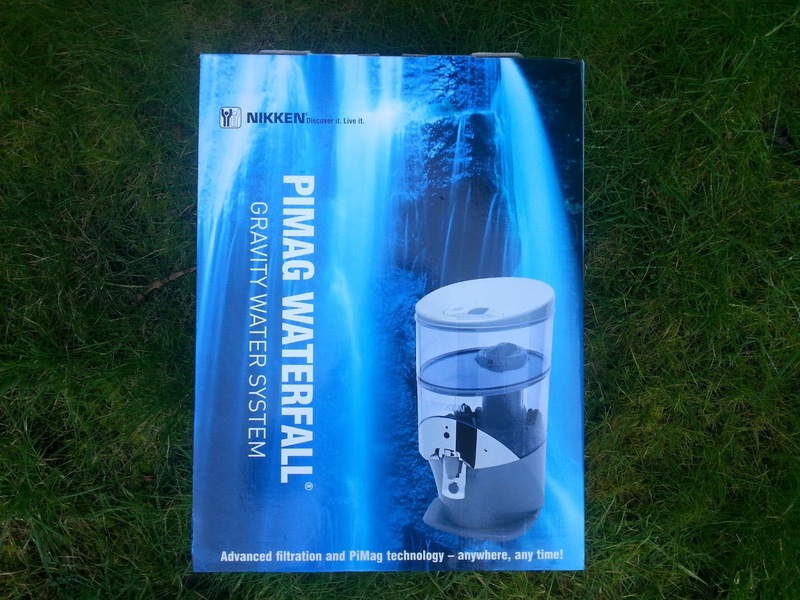 The Nikken Waterfall is a gravity fed system with good flow rates - much quicker than many alternative brands. The system's 5 litre tank will refill in a matter of minutes. The system has very good filter replacement rates - the filter will last for 900 litres (for a family of 4 using the system for all their drinking and cooking needs this will usually translate to about 3 months). Nikken water is oxygenated and naturally ionised (without artificial electrolysis). The water has antioxidant properties as demonstrated by an improved Oxidation Reduction Potential reading - the ORP - over tap water and bottled water. The Nikken water systems use BPA-free non leaching bio-degradable plastics. 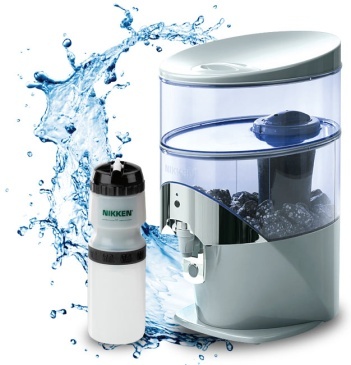 At £265 ($327) for the unit and £36 ($39) for replacement filters the Nikken system is one of the cheapest home water filtration solutions on the market. The replacement filters work out at approximately 4p/litre on average, considerably cheaper than buying in bottled water. Nikken water can also be obtained from any tap when you are out and about via the Nikken Pimag Bottle - excellent for travel including airports. The system has been tested and verified by the Water Quality Association of America earning a "Gold Seal Approval". And last and by all means not least the light velvety water tastes great! You will not enjoy tap water after tasting Nikken water. Come to a Nikken demo near you and try some! If you would like to learn more please leave comments or questions below, or visit our site at http://piwaterfilters.com Alternatively you are most welcome to ring me Nicki Edgell on (0044) 7786 405366. To order Nikken water products direct online please visit https://tiny.cc/piwater for UK and European customers. We can also ship to North and South America. Nikken water - the easiest way to immediately improve the health of you and your family. Subscribers receive an exclusive seasonal newsletter (sent approximately each quarter) including tips and advice on nutrition and wellness, recipes, and special reader offers. Check out an example here and if you like what you see sign up to receive similar future publications direct to your inbox. Nikken are looking for new collaborative entrepreneurs! Do you enjoy networking and meeting people interested in self development and health? Do you think you could sell Nikken water filters? If you would like to talk about joining my team please give me a call or visit http://nikkenergy.com for more information. water purification is too much desired to remove contamination and harmful bacteria entering into the body. Alkaline mineral water is a good source that should be taken to keep body fit and fighting against diseases.